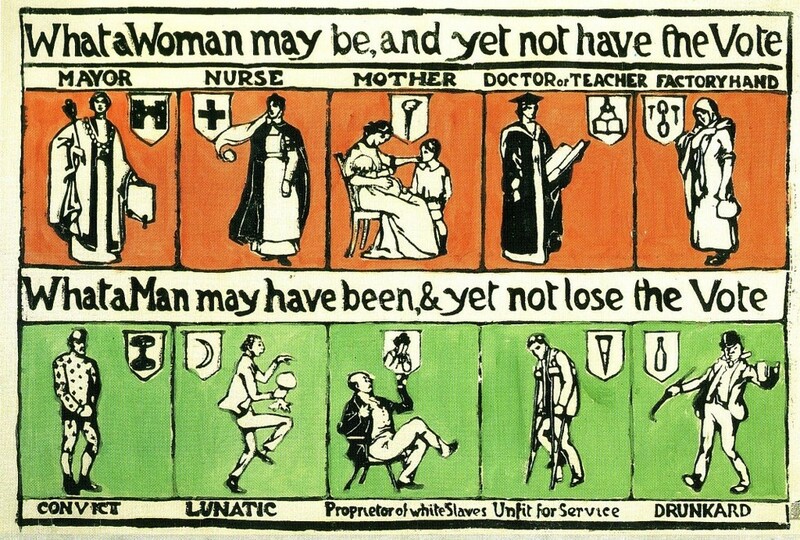 We're all (hopefully) pretty familiar with the suffragette movement. 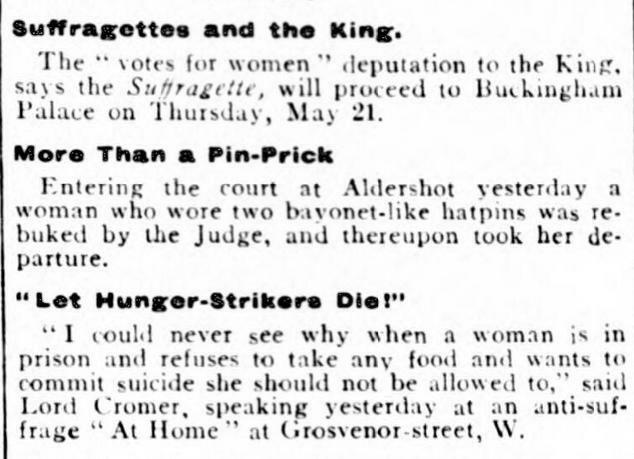 If we're not au fait with the specifics of their activity (beyond of course Emily Davison's fatal interruption of the Epsom Derby), we know what they stood for, and what their message was. 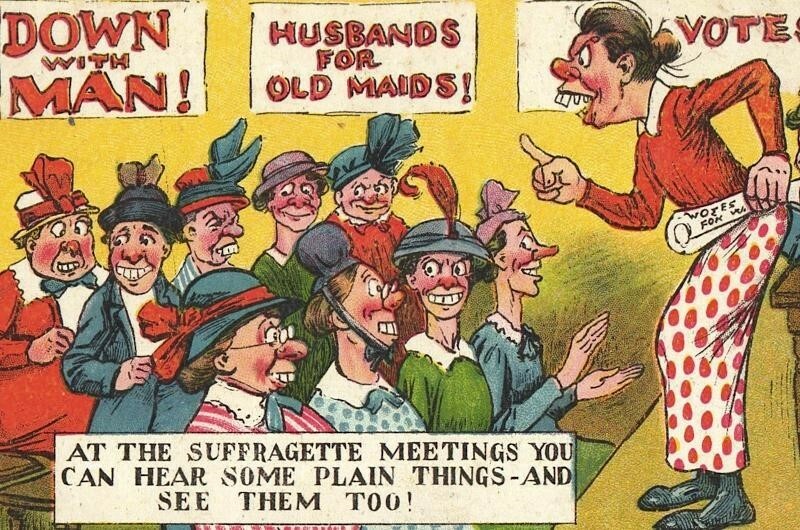 But what was the message of the ANTI-suffrage movement? When the status quo was threatened, to which arguments did its chauvinist defenders resort? Well some pretty darn absurd ones, it turns out. 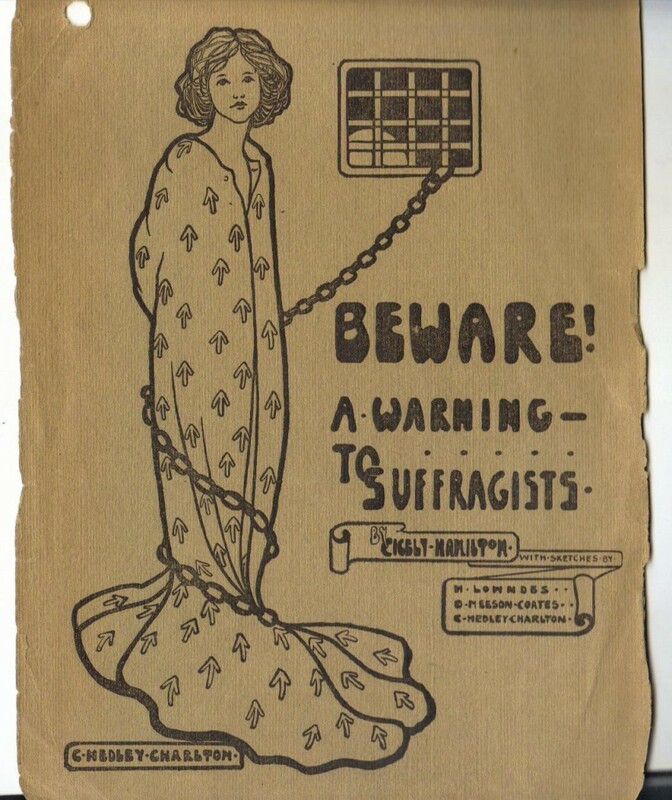 Below are a few genuine examples of anti-suffrage posters, postcards, and slogans. Depressing though their intent undoubtedly is, with the welcome perspective of history we can afford to laugh at their ridiculous attempts to suspend political evolution - while breathing a sigh at relief at their failure. - Because obviously only ugly women wanted the vote. - And they were all giants, taking it out on "hubby". 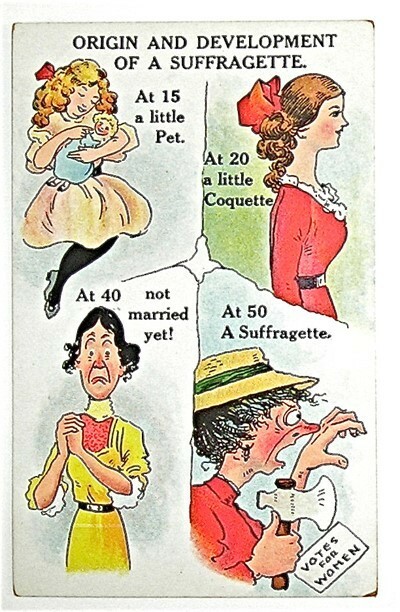 - But yet they were also spinsters who used to be little coquettes. - And at the same time, straddling their husbands in a threatening way. 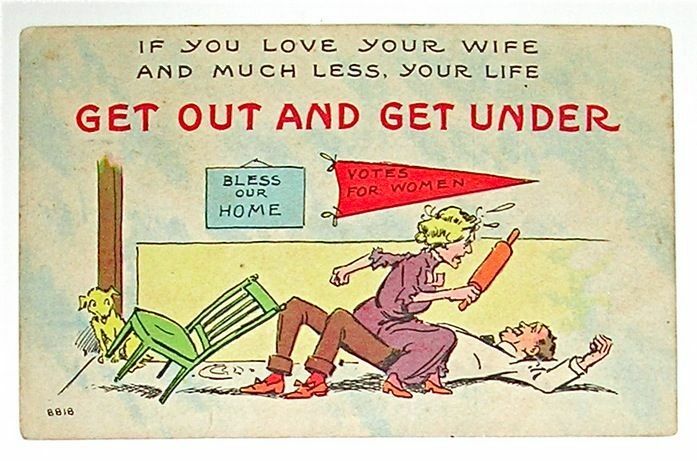 There's so much wrong with this, but at best, the anti-suffrage posters were pretty inconsistent. 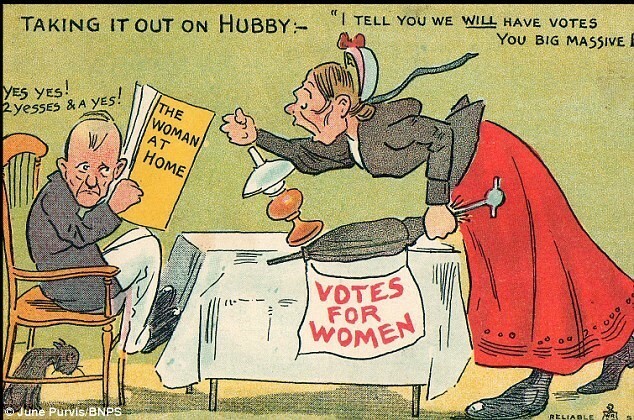 So, if you're ever twiddling your thumbs over whether or not to head to the ballott boxes, think on your female ancestors' experience... and use your vote!